When visiting Russia, it is crucial that you try out it’s famous cuisines (read up Popular Cuisine in Siberia and Popular Cuisine in Moscow) and see the famous sights (Mosques and Caucasus Mountains). In addition to that, it’s also noteworthy to check out the endemic animals. Endemic animals by definition are animals that can only be found in one geographic region. As the title suggests, this article will list some of the endemic animals that you can only find in Russia. The Russian desman is a nocturnal semiaquatic animal living in the Don, Ural and Volga River basins in Russia. The desman looks like a mole, has a fat tail and a limited eyesight due to their tiny eyes. The desman’s fur stays dry even after a swim in the water because of the oily musk secreted from the glands on its tail. The perfume industry uses this scented musk to amplify the aroma of their perfumes. Desman was also hunted for their fur which was in high demand by the fur trade. The Russian desman is currently under government protection. 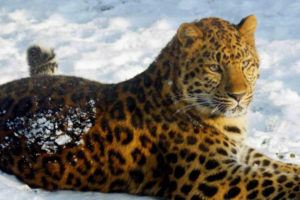 Also called the Amur leopard, the Siberian leopard is the rarest big cat on this planet. It’s current status is critically endangered and protected by the government. The causes of this giant cat’s risk of extinction are forest degradation, inbreeding, and poaching. This leopard is often illegally hunted for it’s beautiful spotted fur which can be sold for a hefty sum. For this reason, there have been continuous attempt from the governments to save the Amur leopard from extinction, and it has been slowly growing in number and is currently at 103 individuals. 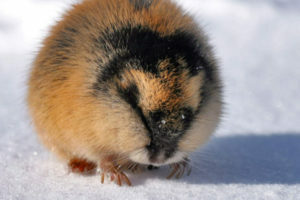 The Amur lemming is a species of lemming that lives in Eastern Siberia (near the Amur River), Southern Yakutia (Chulman River), Kolyma and Kamchatka. They’re often hidden deep inside the holes they dug so they might be hard to find. It’s primary food are leaves and plants. 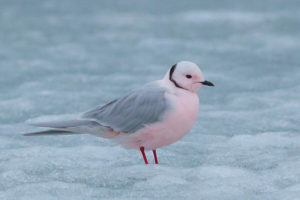 A beautiful yet endangered bird inhibiting Yakutia and near Yamal in Western Siberia. The Siberian natives see the snow crane as a sacred bird and associates it with things like the sun and other kinds of celestial spirits. 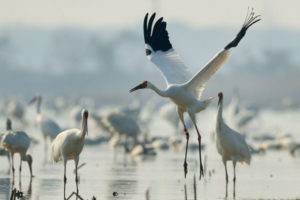 The Siberian crane is completely white in color except for some feathers in the wing area which are black. As a matter of fact, to promote the protection of this crane, the President of Russia, Vladimir Putin, took part in a program called “Flight of Hope”. Using a guided hang glider, the President lead a flock of young cranes to teach them how to fly in long-distances. Completely white in color with pale pink feathers, these elegant birds can be hard to find. They’re shy little birds living in the Eastern Siberia, and the cold rivers of Indigirka, Kolyma, and Anadyr. These small-sized birds’ diet consist of small fishes, crustaceans, beetles, and flies (depending on the season). 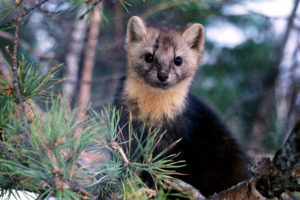 The Barguzin sable is a friendly mammal inhibiting Lake Baikal’s eastern shores, whose fur is ridiculously expensive in the fur trade. Brown in colour, the fur of Barguzin sable is worth more than a hundred thousand dollars. Strangely enough, this curious animal is not in any risk of extinction. Some tourists might be lucky enough to get up close and personal with it. 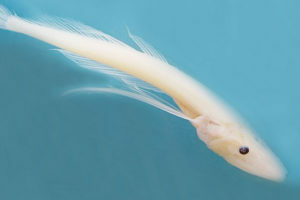 The comephorus is a translucent fish residing in Lake Baikal with a rough population of five billion. Other names of comephorus are Baikal oilfish and golomyankas. 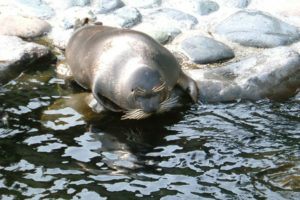 They are the main food source for the Baikal seal and other fishes. Native Siberians use the fats and oils from the comephorus for traditional medicine. The Baikal seal, also called nerpa, inhibits the Lake Baikal like the name suggests. It is a freshwater seal with many legends and tales surrounding it. However, these tales have little to no records about it. 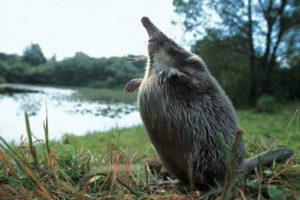 This adorable mammal can grow up to 140 cm, feeding on comephorus and some other invertebrates. Strangely enough, although pollution and hunting is existent for this creature, it is in no risk of extinction at all. The estimated population of Baikal seal is around 80,000 to 100,000 individuals. 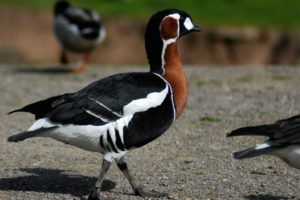 Breeding in Arctic Siberia, the red-breasted goose often sticks close to birds like snowy owls and peregrine falcons to protect themselves from predators. An example of the geese’s natural enemy is the arctic fox. The geese are red, black, and white in colour. They are a bit hard to differentiate from other geese when in crowds. Regrettably, the current status of this bird is vulnerable as hunters disturb the natural amount of the red-breasted goose. Another animal with a strong scent similar to the Russian desman. 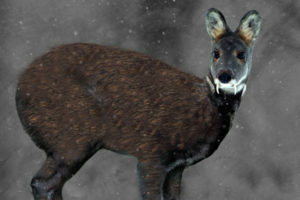 Commonly spotted in southern Siberia, the Siberian musk deer is a fast runner with it’s small size being advantageous. Siberian musk deers are herbivores consuming lichens, leaves, tree barks and pine needles. Some characteristics of the musk deers are nocturnal and territorial. 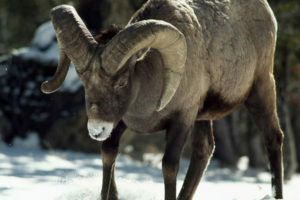 Also called Siberian bighorn sheep. The snow sheep lives in mountainous areas that are difficult to access. A subspecies of the sheep, the Putorana snow sheep, lives in the Putorana mountains. Poachers aim for the horns of these sheeps, however, it is in no risk of extinction. Those are the 11 endemic animals that you can only find in Russia. For more information about Russian animals, read up Animals that Lives in Siberian Tundra.